In this time of changes it’s important to pause and cleanse yourself regularly. There are many ways to cleanse yourself and the indigenous peoples of the Earth have been doing so for hundreds of years with the plants and stones of their regions. 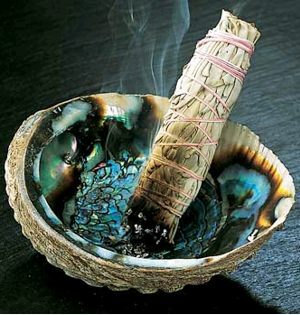 No matter what you use like: smudging with sage, incense made of frankincense, vanilla bean pods, healing crystals or lavender water each of these purifiers help calm the mind and release negative energy. So take a deep breath, stop whatever your doing and perform a cleansing ceremony to release the old and begin something new. Since this last month has been a roller coaster of events and energies I’m offering helpful words from Mother Mary and a FREE live broadcast to connect with your spirit guides. Enjoy my loves and keep up the good work walking your path! A Voice from Spirit – Mother Mary – The Flowers or the Thorns? My Beloved Children, today I’d like to share with you one of my favorite parables about how we live life. For life is what we live everyday. Some days life can be one pain after another as we seem to fall and stumble through our lessons and decisions. But other days life seems like sweet delights, filled with excitement, surprises and love. When we understand the connection of life and the balance between lessons and joy we begin to realize all days are really both pain and pleasure. Our point-of-view can change depression to joy, financial loss to abundant spiritual gain and overwhelming loss to grateful understanding. Each day you choose how you will live that day. As much as we desire a blissful life our daily lives will still bring us lessons. We can then turn fear to joy with understanding that our tests are really joys. 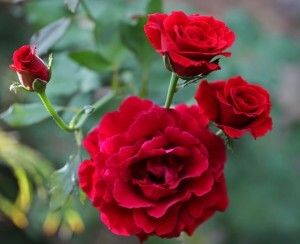 Here is my story for you because you are all my children, my roses, in my garden of life. The Flowers or the Thorns?